Yankee Toy Box exclusive Lego Batman design! Save Gotham City in these awesome Lego Batman pajama bottoms! These Yankee Toy Box exclusive lounge pants feature graphics of your favorite hero and villain, Batman and the Joker! 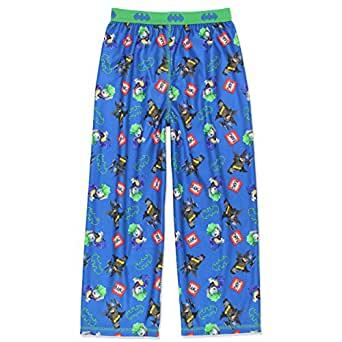 These comfortable pajama pants are made from a soft brushed micro fleece fabric and are the perfect choice for any LEGO Batman fan!